- Soft typable, Versionnable, Searchable, Lifecycle manageable to able to manage it as any other Windchill obejct. - Should be able to Structure Material object to be able to represent Alloys or composite. CATIA V5 users can now manage their CATIA Material and supporting image files in Windchill. The CATIA Material can be made available to users through the CATALOG that can also be managed in Windchill. dependency relationship is created and maintained in Windchill between the CATIA Material and the CATIA Model. The dependency relation in Windchill enables CATIA V5 users to search for all Parts that are assigned a specific material. I agree with the idea, we need this asap because materials are fundamental. Its quite annoying to only have the ptc_material_name attribute published up and its really irritating that we cant lock down material assignment to company std materials. We certainly would also hope that we can choose to assign material at wtpart level or creo level. We will want a ui that aids basic materials seLection/comparison based on material properties over multiple domains. Has anyone used the Granta materials selector for this problem? It should also work consistently for Options Modeler and Options & Variants. Currently, there are problems using non-each units of measure in Creo Options Modeler that do not show up as problems in Options & Variants. There are some other technical issues trying to create "make from" relationships using the current UsageLink as the only realistic option I am currently aware of in the Windchill bill of material for a part that "uses" raw material. This idea is already 3 years old and still no comment from PTC. I wonder if something is coming in 10.3? Information about assigned materials can be displayed into drawings, BOM reports etc. Material could be single, composite and specimen (blank). We have also done this kind of cutomization by sub typing the EPMDocument. We are able to store MTL creo material files and use them directly from creo. and create a custom drop down list to be able to choose the "same" material list from WTpart wizards . cause in some case we do not use CAD or do not put material in CAD. Agree for Option Modeler and Option & Variants. We use it quite intensively for some of our products. Can you give me the technical issue about your "make from usage link" ? a question . what about surface treatment ? how do you manage it ? Hi, Gregory! You "stole" our idea. Your data model is exactly like our. The difference is in soft type, and, I guess, in some user interfaces. Please, do not forget about resource of material in MPMLink. cause in my case "material" is the "physical and chemical" composition of the WTpart (Article). 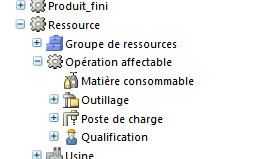 Not the Material with the same sense as "material master" in SAP for example. Dmitry means the process materials, which are assigned to operations into MPMLink Process plans. These process materials are used to perform MPMLink operation. It's OOTB objects resource with OOTB category "Process materials". The examples of such material are coolant, welding environment, etc. In our decision all objects of the material are created with usage of special wizard. He asks to extend the funcionality of this wizard. It's our internal talk. I can explain You more, if You are interested in. Concerning your hope, I guess it's impossible to change data model. Concerning "create automatically the MPMressource tool and the equivalence link ! ". Automatical creation MPMResource may cause some problems in business processes like "approval process" or "request for tool", imho. Do You use such processes? Did You get such problems (or questions on such problems)? Gregory, is it correct to discuss MPMresource questions in Your idea about materials? I am not that familiar with MIM (Material Information Management) system but this one seems to be quite powerfull. Thanks . Have seen Granta guys rapidly at PTC Live. only know that few peoples in our Organization already use another product from Granta. The one for "helping in material choice" . In Schneider Electric we are facing the same situation with materials. This issue actually agregates with another one related to color variants : typical example emergency push buttons that can have a plastic cap made of more than 20 different colors. In this case we want to manage a single CAD design for the prt and the asm, while having 20 different WTParts and BOMs for each color. Then the material used in CAD must be consistent and representative of the different colors used in the plastic material specification of the different BOMs. 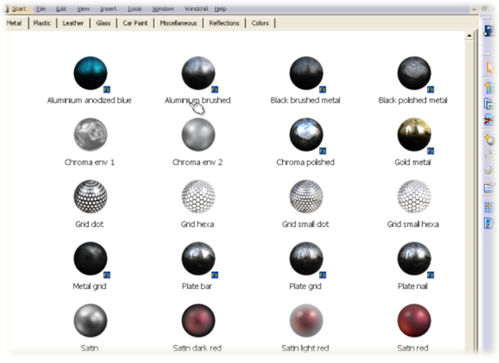 We are also seeing little value in managing color variants with Creo Option Modeller. It can definitively be a topic for WIndchill Options and variants but we strongly expect to manage a single CAD design in such a case. We think Creo Option Modeller is more valuable for assembly variants that have geometrical variations in the components. I am curious to know wether this one CAD to many WTParts is faced by others and how it may impact your material approach. this idea is to, regardless of the methodology (material in CAD or material in WTpart), having a homogensous way to manage and choose the material. As we are in the same region. May be we can meet ourselves to talk deeply around this topic ? While I see your point (why creating a CAD file for each colour), I have a different approach. apart of the time it takes for your designers/draftpeople to create the CAD: what is the inconvenient in having a CAD file for each colour ? This will not overload your server. It is so easy and quick to generate very similar CAD using various programming tool that I see more advantages to having a CAD file for each colour than trying solve the issue the way you describe it. In addition, having a CAD for each colour is a definitive advantage for visualisation. In the past, we needed a lot of data for a User Acceptance Testing on product search capabilities. Defining a set of parameters (over 200 (not all application at the same time !!!) was not enough for people who never used PDM and parameters to understand the benefits. My team wrote a script in Weblink. It took about 2 days to decide how to structure the data we wanted to make available and to write the code, we needed to set a few templates for each component/assembly type). After that, it took about 60min to generate nearly 10 000 3D models having the appropriate parameters. I would expect Schneider Electric to have people with the required skills to program and automate many tasks so what seems an issue as being too much manual hard work is no longer an issue. We have actually considered using a 1 to 1 approach with as many CAD models - and I agree that it is nice to show the real color in 3D. The only difference is that we have only considered an approach without toolkits or customisations. Your point is interesting as it sounds like a small development. Actually the decision is not made yet and we are working on it. So far we considered only functionalities such as Family Tables (does not sustain different color display for each instance) or Inheritances (sustains a different color for each variant). and the productivity to create each color variant would be acceptable. But we were afraid of the possible productivity impacts when carrying out a design change to the whole family (would be fine with Family Table but slow with Inheritances). It seems even more difficult with the assemblies as Inheritances are not available in assemblies. 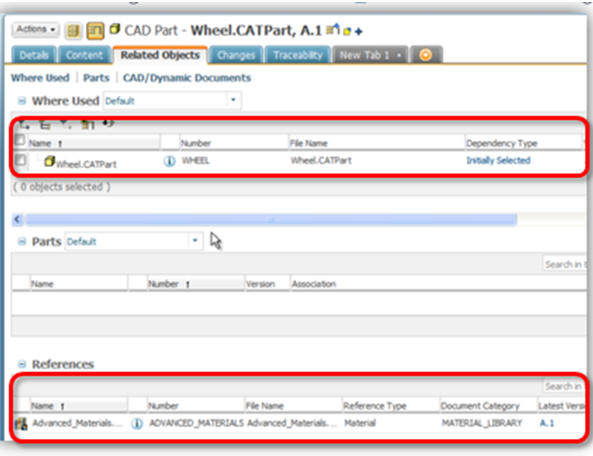 Last, when revising objects within a Change Notice in PDMLink, how to gather all BOM and CAD variants that go along ? For the inherictances, the links can be browsed, but how do you deal with assemblies ? Possibly, I would expect the color applied to the 3D is based on the material choosen, and the material between 3D and WTPart to be perfectly aligned. Our original thought was that Creo no longer uses mtl file but rather would be able to point at a material object in the PDM material database and propagate automatically to the WTPart. Have you adressed those points as well ? In your 1 to many approach, how are you managing the mass properties in the CAD ? If I had really different materials in a dynamic mechanism (ex gold, steel, titanium) I would expect to have 3 different CAD models because their momentum, acceleration and forces would be different. We were considering this approach only for nuances of a similar material (example red / blue / green colors of the same plastic) but not for heterogenous materials. In our approach, we were considering that each model with varied geometry (different size, different number of patterns) we would manage a number for each geometry. We have a Configure To Order business model in some of our Business Units that requires to regenerate the geometry based on order parameters for each order but this is another story : we are first trying to answer Assembly to Order variants. And we are not yet using Creo Option Modeller : we are intersted in it, but it seemed quite complex, and my first impression was that it is missing many automations to have a full benefit of automated interference and measure checks. I agree to meet - Would April be convenient ?